Modern mathematics supports the roots of society in a wide variety of areas, from revealing physical phenomena to making economic forecasts. Join us, and see for yourself! Many people think of mathematics as a subject where you memorize formulas from a textbook, then mechanically use them to solve problems. Yet the most important thing in mathematics is considering the meaning behind its various theorems and formulas, and understanding the principles and truths that underlie them. Through that experience, mathematics shows us the joy of thinking about things deeply. Mathematics has an extremely long history, and provides the foundation for many academic subjects and technologies. The truths obtained from mathematics have a universality that transcends place and time; this abstraction leads to versatility. This is seen in theorems and equations that can be applied not only to the elucidation of some physical phenomenon, but also to a wide variety of social domains such as predicting economic phenomena. Mathematics has also led to fundamental revolutions in our society, demonstrated by the development and spread of computers. Like finance, mathematics has directly affected modern society, and its influence will probably increase in the future. In our undergraduate mathematics program, you will learn the fundamentals of modern mathematics that were developed in the 19th and 20th centuries. Moving on to our graduate program, you will learn more advanced mathematics and take your first steps toward doing research. You will also learn advanced mathematics with great social relevance, such as areas related to mathematical finance, cryptography, computer networking, numerical calculation methods, and algorithm development. The mathematics program uses limited enrollment seminars featuring student presentations and question-and-answer sessions to develop a thorough understanding of mathematical theory and the ability to express one’s ideas clearly. Learning precise logic and the skills for careful research is a great aid for many jobs. As technology progresses and society becomes increasingly complex, the demand for people who deeply understand the mathematics that underlie so many aspects of modern life will increase. But the true thrill of mathematics lies in turning new ideas that defy common sense into new, previously unimaginable theories and thereby providing the solutions to previously unsolvable problems. Mathematics is a field rich in creativity, surprise, and excitement. Over half of our students go on to graduate studies. There are many government and corporate entities that hope to hire our graduates for a variety of jobs, including jobs in statistics, pension management, and computer- and finance-related fields. Occupations requiring mathematics have diversified in recent years, providing our graduates with jobs at consulting agencies and in cryptography development. Establishment of the Department of Mathematics, Physics, and Astronomy, School of Science, The University of Tokyo. Separation and establishment of Department of Mathematics. 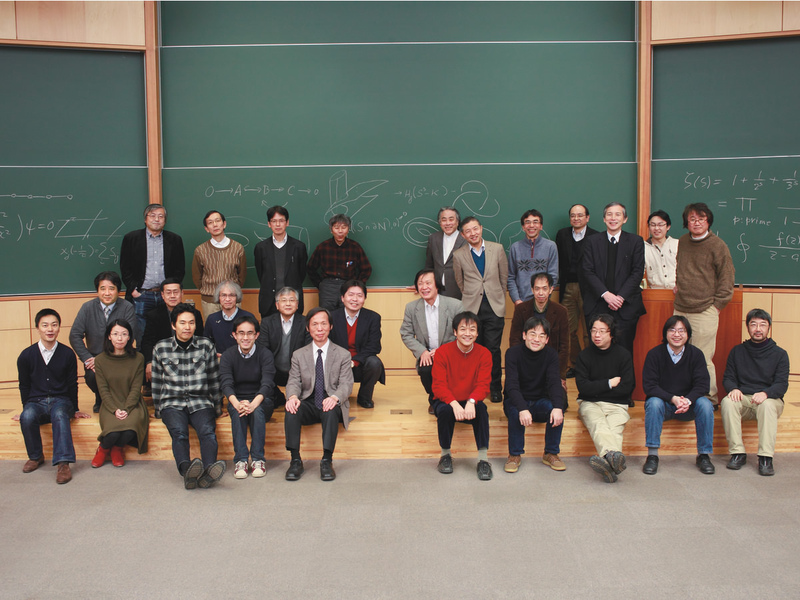 Department of Mathematics; reorganization of The University of Tokyo into Imperial University. Department of Mathematics; amendment to the Imperial University ordinance. Reorganization of the School of Science. Establishment of the Graduate School of Mathematical Sciences in its present form.